Self-Mastery is the ability to recognize, understand, control, and make the most out of your physical, mental, emotional, and spiritual self. It is gained thorough awareness, understanding, and control over your thoughts, emotions, and actions. Essentially, it gives you control over the one thing you can control in any given situation: yourself. Self-mastery over your own thoughts, emotions, words, and actions can change and transform your life and yourself. When negative thoughts arise, emotions can become unsettled and your resulting actions can have negative consequences. With It will also help you control your emotional impulses and allow you to make decisions based on rational thinking instead of heightened emotions. 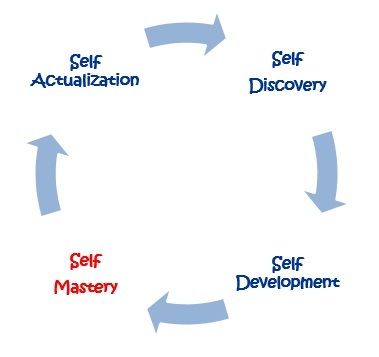 The road to self-mastery begins with self-awareness. Self-awareness is having an insightful understanding of your personality, values, tendencies, and beliefs. It is the process of analyzing your thoughts, beliefs, actions, and emotions to help you determine your values and principles. The more you understand yourself, the more control you will have over yourself and your life. Self-awareness leads to the accumulation of self-knowledge. Self-knowledge identifies what you know about yourself. It is with self-knowledge that you can understand your principles, values, and purpose and are able to apply it to your life. With self-knowledge, you are able to understand your strengths to build upon, as well as identify areas where you may like to make improvements. With self-knowledge, you discover who you are and when you are at our best. However, one of the problems with awareness and/or knowledge is that it does not require you to take any action. Without action, knowledge and awareness does not lead to change. The good thing is that once you develop your self-awareness and the skills to understand your core beliefs, then changing your thoughts, emotions, and behaviors becomes much easier. Acting on your self-knowledge allows you to reach your fullest potential and to become fulfilled and self-actualized. 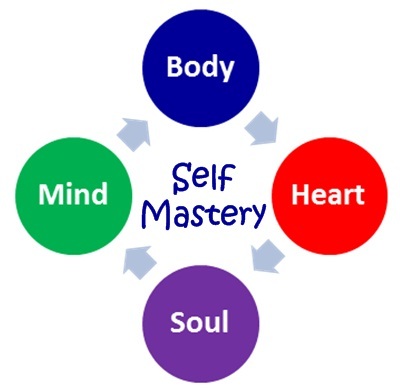 Self-mastery can help you develop habits, beliefs, and attitudes in order to create and live your life to the fullest. When you have developed this mastery, you will have the ability to control yourself in any given situation. You will be able to move easier forward towards your goals with discipline, persistence and focus. You will know your purpose, and you will have the self-confidence and self-discipline needed to do things in a conscious, focused, and purposeful way. One of the greatest benefits of self-mastery is that it helps you have clarity on what is important to you. It teaches you to live in the present moment and helps you create more room in your life for feelings of gratitude, love, fulfillment, joy, and happiness.